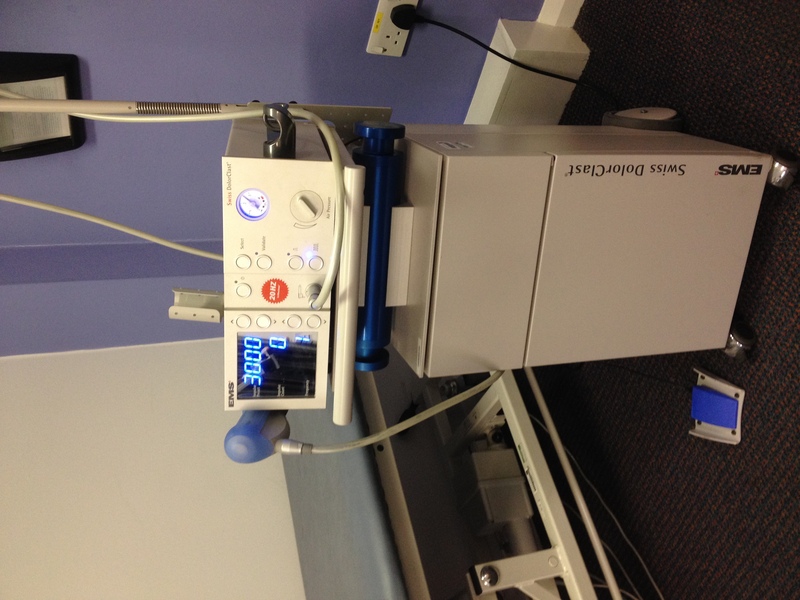 ESWT is an exciting new non-invasive procedure carried out in our Out-patients department. No anaesthetic, medication or surgery is required. Once you have been referred by your GP treatment can start almost immediately after assessment by the consultant. The sound waves promoted during the treatment, stimulate healing for many physical disorders including plantar fascitis, achilles tendonitis, shin splints, golfers elbow, tennis elbow and shoulder calcification. The technology has been approved by NICE (National Institute for Health and Clinical Excellence), Spire Clinical Governance and Medical advisory Committee. 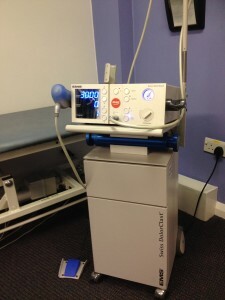 The Shockwave is delivered to the tissue via a compressed air impulse exerted by the hand piece. No surgery or other therapy is required and treatment can usually start straight away. We use the Swiss Dolordast ESWT machine – what’s the advantage? You will require an initial consultation with the Consultant to ascertain if you are suitable for this treatment. If you have private medical insurance, speak to your insurance company as many treatments are covered by your insurance. If you wish to pay for your own treatment, we have a fixed price for a course of 3 treatments; if you need more than 3 treatments then additional fees will be billed. The number of treatments you will need will be agreed with you in advance by your consultant. We offer two scales of treatment: Certain conditions benefit from ultrasound treatment prior to ESWT therapy, your consultant will advise if this is necessary.